Many international collaborators rely on email for corresponding with others due to time zone differences. While email gets the job done, there’s often a large lag time. International conferencing provides business professionals, entrepreneurs, investors, celebrities, journalists, and other individuals with international contacts a cost-effective means of collaborating with their associates in other countries. Using an international conferencing service provider allows for feature-rich collaboration, low per minute calling rates, and crystal clear connections. Whether you need to host international conferencing events on a regular basis or periodically, you can receive numerous benefits when you start holding conference calls. As with most everything, a few downsides exist. However, the advantages outweigh the disadvantages of international conference calls. Less Time Traveling – More Time Collaborating: While meeting in person is certainly desirable, it’s not always practical. With international conferencing, you can interact with your global contacts in a group environment without having to leave the country. Instead of spending a good portion of your business week in airports, on international flights, and in expensive hotel rooms, pick up the phone, hold your teleconference, and get to the heart of the matter. Your call can last as long as you need it to last. Even if you spend eight full hours in a teleconference, you’ll still be ahead of the game thanks to the ability to make the call from your office. Dramatically Lower Collaboration Costs: Obviously, eliminating international travel also eliminates international travel costs, making international conferencing economically appealing. In addition to cutting your own travel expenses, you won’t need to rent meeting room space to accommodate attendees. Everyone simply dials into the international conference call from their own offices, homes, or other locations. Review and Share Your Teleconference: You can record your international conference call with just a button click. Use the MP3 file to review the conference later or share it with colleagues who were unable to attend the call at its scheduled time. Depending on the nature of the call, you might even want to create a podcast out of it or package it into an informational or coaching product. Many international collaborators rely on email for corresponding with others due to time zone differences. While email gets the job done, there’s often a large lag time. Using international conferencing, you can collaborate with others in real-time. Unfortunately, this is also one of the cons of international conferencing in that some participants may need to participate in the call outside of their normal business hours. Teleconferencing Allows for More Personal Interactions: Being able to communicate with others over the phone allows for more personal interactions. Not only can you break the ice and get to know one another over the phone, you can hear each other’s voice inflections. Voice calls result in fewer misunderstandings than email. Clearly, international conferencing is an excellent choice for anyone who regularly communicates with international contacts. However, there are a few disadvantages you should be aware of. Fortunately, these disadvantages of international conferencing can be overcome. Since there are nearly 230 countries in the world, no conference call company can provide a local access number everywhere worldwide. That said, if your global conference call plan has a worldwide dial-out feature, the chairperson can easily call the participant through the international bridge and instantly add that guest to the call. All that’s required is the participant’s international phone number, landline or mobile to dial-out to. Below are the toll-free and local access number countries offered with the Expanded International Conference Call plan. This plan also includes the global dial-out feature so there is never a reason to be concerned about whether an access number is available in a country because the moderator can always dial-out to any country. Time Differences Can Make Scheduling a Conference Call Challenging: If you’re in Los Angeles and the people you need to meet with are in London, Australia, Japan, and India, scheduling international conferencing is going to be challenging. Some attendees will need to call into the teleconference at a time that is outside of their normal business hours. However, attendees do not need to remain in their offices late at night in order to participate. They can call from any phone, anywhere they may be. Dialing Conventions Vary from Country to Country: Your international collaborators are used to dialing phone numbers a certain way. Giving them an international phone number to call can cause confusion, require operator assistance, and potentially deter participation due to cost concerns. You can overcome this disadvantage by using an international conferencing service that issues local access numbers or local toll free numbers. Each participant will be given a phone number local to their country. Opt for toll free access if you do not want your participants to pay to participate in the conference. Calling Rates are High for Some Countries: As the host of an international toll free conference call, you’re right to be concerned about the per minute calling rates for some countries. You may be used to paying less than a nickel per minute for long distance calls and be shocked at some of the rates for other countries. Check the rates for the countries involved in your teleconference and highlight those that you consider too high. For those, use the moderator dial-out feature instead of having those participants call your toll free number. Moderator dial-out means you will call them (and you’ll pay quite a bit less as a result). You can pre-program moderator dial-out so that you do not need to scramble at the last minute to gather everyone into your teleconference. International Conferencing Can Get Loud: Imagine a conference call with 20 people, all with co-workers chatting, phones ringing, or dogs barking in the background. That call would indeed get noisy. Fortunately, mute and unmute features are easy to use and teach to the group. If any users fail to mute their lines when not speaking, the moderator can mute those lines individually. As you can see, the advantages of international conferencing definitely outweigh the disadvantages. Plus, the disadvantages are easy to workaround with the right international conferencing plan. If you intend to share the conference call recording with others, keep confidentiality in mind. For example, if the call is between you and an employee who is struggling, that call should not be shared. Coaching employees or counseling clients who have hired you as a coach doesn’t always require face-to-face meetings. In fact, you can use international conferencing to deliver some coaching sessions over the phone. Not only can your international conference call sessions help others develop their skills immediately, you could even record your sessions and help others do the same in the future. Of course, you’ll need to respect the confidentiality of your coachees if you do so. If you’re thinking about using international conferencing for coaching, these tips are for you. First, determine which sessions lend themselves to an international conferencing environment. For example, you might hold several training sessions at a live event and then follow up with monthly coaching calls via international conferencing. Another option is to offer access to international coaching calls as an upsell to attendees at a seminar. Some coaches use conference calls exclusively for delivering coaching classes. What types of coaching sessions lend themselves to international conferencing? Any session that does not require physical interaction or visual demonstrations is a good candidate for international conferencing. For example, if you are a fitness coach who needs to demonstrate how to perform certain exercises or stretches, international conferencing isn’t a good choice. However, if you are coaching other personal trainers on how to grow their businesses, then holding an international conference call could be effective. Corporate trainers can also deliver personal development coaching sessions to employees as a general group. Smaller private coaching groups are also an option. For example, you could hold a coaching call for all regional sales managers around the world or you might invite only newly promoted managers to a call. The possibilities are endless. Most international conferencing plans include a call recording feature, allowing you to record the call for later. If you intend to record a call, you’ll want to be aware of some privacy issues first. Make sure to announce that the call will be recorded. Do this both when inviting attendees as well as at the beginning of the call. If you intend to share the recording with others, keep confidentiality in mind. For example, if the call is between you and an employee who is struggling, that call should not be shared. On the other hand, a call where you discuss the latest sales techniques to a passive audience wouldn’t infringe on anyone’s privacy. Another potential issue can occur when you have a guest or co-host on the coaching call. If you will be distributing the recording or using it for any other purpose other than for personal uses, it’s wise to have the other person sign a release form. Whether you’re holding a coaching call with a group of international employees or clients who have signed up to receive expert coaching from you, if you will be holding a coaching call using international conferencing, you’ll need to set up and plan the call. Setting up international conferencing requires signing up with an international conferencing service provider. International conferencing plans make it easy for all participants to join the conference using phone numbers that are local to their countries. You can also set up the teleconference so that callers dial a toll free phone number that’s local to their countries. This eliminates confusion and concerns about calling internationally. Since the coaching call will take place with participants from around the world, scheduling is going to be tricky. Use world time zone maps to figure out which times would work best for most participants. When you communicate the date and time of the coaching call, include the date in time in each participant’s local time to minimize confusion. If you have a small group, you could communicate this information with participants individually. For larger groups, you might include a master list of times by country and instruct participants to refer to the list for local call-in times. Next, prepare a detailed agenda for the coaching call and distribute it to attendees. This is another opportunity to remind participants of the call’s time and date, access numbers, and other details. It is also a great way to reinforce your value as a coach and help your participants prepare for the call. By sending an agenda, they’ll know what to expect and how much time to allot for the conference. Finally, hold the coaching session. Remember to remind participants if the call is being recorded and then follow your agenda. Do your absolute best to keep the call within its allotted time so that your coachees will realize that you respect their time. They’ll be more likely to participate in future coaching sessions via international conferencing if they know that your sessions are well-run. International conferencing is a terrific medium for communicating with others around the world. It’s also a cost-effective alternative to holding face-to-face sessions. Some participants may even need to call into the conference from their homes or in the middle of the night to join others in different time zones on the call. One of the biggest challenges of international conferencing involves finding a convenient time for the call. With participants located in various time zones, your global call may not fall within normal business hours for some participants. In fact, some participants may even need to call into the conference from their homes or in the middle of the night. There are several methods you can use to plan and schedule international conferencing. Below are a few to try when planning your next conference call. 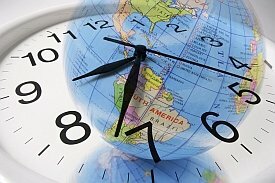 WorldTimeServer.com – This site has a number of world clock and time zone tools including its World Meeting Planner. Simply enter up to five countries or cities and the desired date and then click on the Submit button. The results page will show 24 hours for the date selected for each country. These times are presented in a color-coded grid. Green times are those that occur during business hours, yellow times are those that occur in the morning or evening, and red times are those that occur at night. By viewing the grid, you can quickly identify blocks of time that could work across multiple time zones. The times are displayed with individual blocks representing each of 12 hours. The current time is circled so that you can easily see what time it is locally as well as in each of the countries you will be international conferencing with. This tool also uses color to represent business hours (light yellow), morning and evening (light blue), and night (dark blue). Again, the goal is to try to find a block of time for all countries that falls under business hours. It’s a nice choice for those who prefer plotting points on a map. However, it is useful once you have a time in mind and need an accurate way to tell participants what time the international conference call will be in their local time. For example, once you enter the time and date in your local time, you can then click on the various cities and countries involved will then display a list of all corresponding dates and times for each country. TimeandDate.com‘s Meeting Planner App – Timeanddate.com has an online meeting planner tool for international conferencing that’s similar to the ones offered by World Time Server and World Time Buddy. However, it also offers a mobile app. The app is available on iTunes for the iPad and iPhone. It allows you to quickly plan international conferencing around various time zone constraints. Like the other tools, color-coded times make it simple to find a time that should work for most participants. You can also save meetings within the app, which is helpful if you frequently hold international conference calls with the same group of people. Once you’ve found a good time and have decided to schedule your teleconference, this app allows you to send the international conferencing time and date to participants via email. Scheduling international conferencing is challenging, but these tools make it easier. In addition to scheduling the call, you may want help in calculating the cost of your call. While conference call calculators are available for U.S. and Canada conference calls, international conferencing involves so many factors. In order to determine how much you might pay for an international conference call, you may need to do a few calculations on your own. 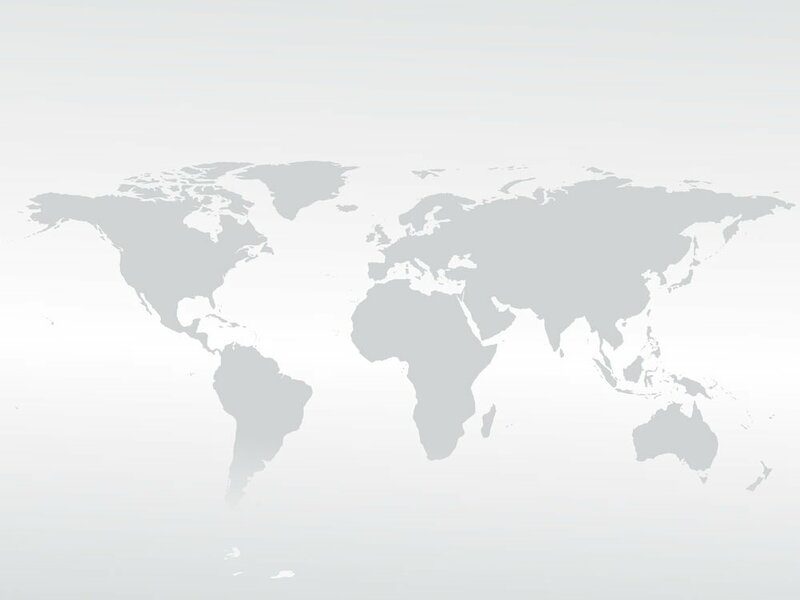 Start by identifying the countries involved and looking up their per minute calling rates (https://www.aitelephone.com/conference-international-access.html). Once you have this information, you can then multiply the per minute rate for each participant times the expected length of the call to get the cost of the call per participant. From there, add up the cost per participant to get a final dollar figure. One way to do this is to use a spreadsheet as shown below. As you plan your call, you will likely find that some countries have higher per minute rates than others. If a country’s rates are higher than anticipated and the call will be long enough (or if enough participants are from that country) for those rates to make a big impact on the total cost of the call, consider setting up automatic moderator dial-out for those participants. Doing so allows you to take advantage of lower dial-out rates. The next time you need to schedule international conferencing, use a time zone planner to find the optimal time for your teleconference. If you want to take your planning one step further, use a spreadsheet to calculate the estimated cost of your conference call. With 100+ country access numbers, international conference calls with participants located in any country is here. It’s never been easier to host conference calls with attendees in faraway places. Even somewhat obscure country toll-free conference call access numbers are available such as Latvia, Zimbabwe, Vietnam, Tajikistan, Sri Lanka, Qatar, Oman, Saudi Arabia and many more. This means that the geographical location of your conference call guest is becoming less important because of expanded toll-free and local access number availability worldwide. Post by American International Telephonics LLC. Whether you’re overseas and urgently need to speak with your team back at home or have associates scattered around the world, hosting an international conference call is a fast, affordable way to have a conversation with a group of two or more people. However, making an international conference call isn’t as simple as making a traditional phone call. Rest assured, it’s still easy, especially if you have a reliable, no-contract-required international conference call plan. 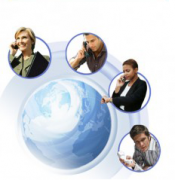 Why Choose a No-Contract international conference call? Conference calling plans typically come in two flavors: contract-based and no contract plans. With a contract-based plan, you must sign up for a specific time period and pay a monthly fee for a predetermined number of conference calling minutes. With a no contract plan, you are not locked into a plan or required to maintain the plan in any way; you simply pay as you go. If you only need to make one international conference call a year, a no contract plan allows for this without penalizing you. If you need to make a 100 international conference calls a month, you can do that too. Once you have a calling plan, you can either preschedule your international conference call or hold an impromptu one. In either case, your attendees will need to be invited to the call. Start by scheduling the call in your international conference calling plan’s account management dashboard. Once scheduled, you can then email the call’s details to the people you’d like to attend. Because of the global nature of the international teleconference, many of your attendees will be located in different countries. This brings a few challenges to overcome including: time zone issues and toll free access problems. Thus, you’ll need to address each. For example, a 2:00pm call originating in Los Angeles will take place at 11:00pm in Rome. To further complicate matters, that same call will occur on a different date if you have participants located on the other side of the International Date Line. For example, it would be scheduled for 5:00am in Singapore. Not only is it important to be aware of these differences, you should provide attendees with the correct time and date for their local time. The next issue to overcome is the actual phone number itself. If you plan on offering toll free access to the international conference call, you can’t simply give everyone the same American 800 number because that number won’t work internationally. Instead, each country has its own toll free numbers. Therefore, your callers in Rome will dial a different toll free number than your callers in Singapore. The numbers used to access your teleconference ring into the service providers conference calling bridge. In order to connect your attendees into the correct “conference room,” a PIN or access code is used. Each attendee must tell the conference calling bridge which conference room they want to join; they do so by entering the PIN or access code assigned to your conference when you originally scheduled it. If this sounds complicated, don’t worry. Your international conference calling plan handles most of this for you. You’ll be given a list of toll free numbers and PINs to share with participants. Alternately, you could use the automated group dial-out feature to pre-program the phone numbers of your call’s attendees. When it’s time for your conference call to begin, the automated group dial-out tool will automatically call all of your participants and prompt them to join the teleconference. Many conference call hosts choose to record their calls. Recording calls ensures that attendees have the opportunity to review the call later if desired, and it also allows absentee participants to listen in after the fact. In some cases, call recording is used for documentation purposes whereas in others, it’s used as a training or educational tool. For example, if your international conference call is intended to provide your team with formal training, it makes sense to record the call and the reuse it later when new team members need to participate in the same training. This can free the facilitator of the training from having to conduct a second (or third, fourth, fifth, etc.,) training session covering the same information. It can also ensure consistency as all team members will hear the same message. Hosting an international conference call is a great way to stay connected with a globally diverse group of people. Not only is it an affordable option that’s available on a no contract, pay-as-you-go basis, it’s easy to use. Extra features such as auto dial-out and MP3 recording make using an international conference call system even easier and more beneficial. You’ve just signed up for an international conference calling plan, now what? You’re officially a global conference call moderator. As the moderator of an international conference call, you have several roles and responsibilities. Use these tips to make your first, and subsequent, global conference call, a success. As with any type of service, it’s smart to get to know the various features your new international conference calling plan offers as well as how to use them. Spend time exploring your online account management dashboard, read any tutorials or quick start guides offered, and set up a test call. By getting to know your international conference calling plan in advance, you’ll be less likely to stumble when you need to make your first conference call. Don’t worry, international conference calling is easy to learn and use. Spend a few minutes getting acquainted. Whether you’ve moderated hundreds of global conference calls or are about ready to host your first one, planning your call in advance is advisable. Think about what the call’s purpose is, what needs to be discussed, and who needs to attend. By determining these three crucial points, you can then figure out how much time to allot for the call (based on the purpose and discussion points) as well as which countries will be involved in the call (based on who needs to attend). Allotting sufficient time for the call is smart as you must manage costs and be respectful of your participants’ time. Ideally, you’ll want to stay within your budgeted timeframe without going overtime. Identifying the countries involved in your international conference call helps you to schedule the call so that it’s as convenient as possible for the bulk of your participants. You can also use your country list to see if it makes sense to use moderator dial out to some countries. Some countries have dramatically higher rates for callers to call into your global conference call than it would cost for you to dial them directly. Look up your international conference calling plan’s rates for each country and choose moderator dial out where it makes sense. You can set up automatic dial out to these participants. At the appointed time, the system will dial them and connect them to your teleconference. Once the global conference call begins and all participants are on the line, begin your conference. While you could conduct the call successfully from this point forward, your international conference calling plan has several tools and features that can enhance the conference. Make sure to use them! For example, what if one of your participants calls into the call from a noisy environment and doesn’t know how to, or has trouble with, mute the phone? Instead of subjecting all participants to background noise, you can mute the participant’s noisy line. You can also mute all participants’ lines except yours when you speak if desired. This is ideal for teleconferences where the moderator presents content to an audience of listeners. 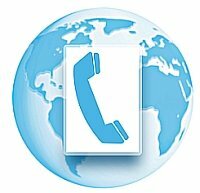 Your international conference call can also be recorded for future use if desired. Create an MP3 recording of your call with just a few mouse clicks in your online conference call management dashboard. After the call completes, you can use the MP3 recording as you see fit. For example, you could make it available to participants who were unable to attend the call live, you could create a podcast, you could post it on your internal website for your employees to listen to at their leisure, and more. Many global conference call users use conference calls to create information products and then sell their MP3 recordings to interested parties. If you need help during your international conference call, a live operator can help. Make sure to take advantage of operator assistance as needed. By handing off a problem to the operator, you can resume your presentation. For example, if a participant has emailed you informing you that for some reason she cannot connect to the conference, you could have the operator attempt to connect her to the call. This way, the teleconference is not unduly delayed due to a small hiccup affecting just one caller. Holding a global conference call is a great way to communicate with participants located all over the world. It is also extremely affordable. With a pay-as-you-go international conference calling plan, you can hold conference calls as often as needed without minimum usage requirements. Make the most of your plan by taking the time to get to know it, planning your calls, and taking advantage of the tools and features available to you. When it comes to international conference calling, your calls can easily run over your allotted time. Not only can individual speakers dominate the conversation or send the conversation off track, questions and answers sessions at the end of a global collaboration call can quickly gobble up valuable conference calling time. While you certainly want to answer everyone’s questions, international conference calls that continue beyond the scheduled timeframe can quickly become more expensive than planned for. After all, you pay per participant, per minute. In addition, participants may be reluctant to join future international conference calls based on fears that their time won’t be respected. Keeping your budget intact and your participants willing to join you in the future requires managing your international conference call to keep it on track. In order to stay on track, you will need a solid plan for the international conference call. The best approach is to create a global collaboration agenda and map out every topic you want to discuss. Your agenda could be as formal or informal as you need it to be. 8:00am – Introductions / icebreakers: Nancy introduces herself and asks each participant, one by one, to do the same. 8:05am – Discuss sales figures for quarter 1: Bob presents first quarter sales figures for the company as a whole. Recognizes Region 2 for top sales performance. 8:15am – Brainstorm ideas for increasing sales: Nancy guides the team through brainstorming session. 8:25am – Training opportunities: John from HR introduces new online learning portal and recommends the social media selling course for each regional manager. 8:30am – Company news: Nancy discusses pending acquisition, reassures team that it’s a beneficial move that brings more opportunities for personal growth. 8:35am – Questions and answers: Nancy and Bob to field questions. 8:45am – international conference call ends. No matter how detailed you prefer to make your international conference calling agenda, the most important task is to identify the topics and allot sufficient time for each one. Agendas are valuable planning tools for international conference call moderators. However, they’re also useful for your call’s participants. If, in the example above, Nancy were to keep her agenda to herself, Bob and John might not realize that they’re expected to discuss first quarter sales results and training opportunities. In fact, they’ll likely arrive unprepared because it’s impossible to read Nancy’s mind. Bob may need to excuse himself for a few minutes to find, download, and briefly analyze the latest sales figures. Meanwhile, John, who’s on the spot and unprepared, may discuss the wrong training program. By sharing her agenda with Bob and John, Nancy is taking another proactive step to ensure that the global collaboration call moves efficiently from one topic to the next and that the exact topics she wants to address are discussed. In addition to sharing the conference’s agenda with other speakers, consider sharing it with all participants in advance. This gives them a chance to prepare as well, and it shows them how their conference call time will be spent. Use either a stopwatch or a timer during the conference call to ensure that each topic stays within its allotted time period. As the call’s moderator, you should take an active role in managing the call. For example, Nancy might prompt Bob that he has two minutes left to wrap up his presentation by saying, “Bob, this is fascinating. Scheduling time for questions and answers at the end of an international conference call provides participants with the opportunity to ask questions. It also allows you to revisit topics that may not have had enough time to explore thoroughly earlier. Make sure to schedule a Q&A session into each international conference call. Doing so gives you a little extra padding should your call run longer than expected. At the same time, if there are no questions, or if the Q&A session ends early, you can release participants from the call a few minutes early. No one appreciates a meeting that runs long, but most everyone appreciates getting out early. How Do Companies Use International Conference Calling? School is in session – Virtual schools, charter schools, colleges, and other educational institutions often use teleconferences as part of their distance learning programs. For example, students may be required to attend weekly teleconferences where they’ll be able to hear the instructor’s lecture, get their assignments for the week, and have the opportunity to ask questions. Schools also use international conference calling for administrative purposes such as staff meetings and as alternatives to in-person meetings. Legal proceedings – Court reporters, lawyers, and litigation support services firms often use international conference calling to conduct some legal proceedings. Not only does doing so eliminate travel, it’s possible to record conference calls and the calling plan can create an accurate record of who was present during the call. Board meetings – From charitable organizations to Fortune 500 companies, many businesses use international conference calls to hold virtual board meetings with attendees scattered around the world. This saves on travel expenses while accomplishing the agenda items. 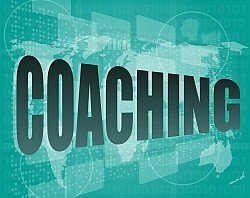 Mentoring and coaching – Many businesses and entrepreneurs use teleconferences to mentor and coach others. One of the benefits of using an international conference call to host a mentoring or coaching session involves recording the call for later use. Not only can the original attendees benefit from the session, future ones can listen to the call and receive the same information. These are but a few of the many ways that businesses use international conferencing. How will you use your international conference calling plan? Whether you’re forming a committee, organizing a team of service providers, or need to communicate with managers from branch offices, conference calling is a cost-effective means of communication. All you need is a conference calling plan and the desire to hold group meetings over the phone. With the right calling plan, you can hold impromptu and scheduled conferences with minimal fuss. 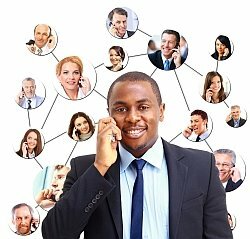 Any time you have three or more individuals working on a team from different locations, phone communications become more difficult. Rather than holding multiple phone calls, use a conference call to keep everyone informed and engaged. Hold group meetings over the phone – Why hold a meeting in the office or a conference center when your entire team can collaborate over the phone? Eliminate costly meeting room rentals – If you usually rent meeting space, a conference calling plan can quickly save your business a substantial amount. Record group conversations for later review – Some conference calling plans feature MP3 recording. You can then email the MP3 file to team members who were unable to attend the teleconference. Eliminate travel expenses – Need to meet with team members from across the country or around the world? Instead of booking flights, rental cars, and hotel rooms, plan a conference call. Just about any topic can be discussed in a teleconference. Improve productivity – Conference calling requires much less time than physical meetings. There’s no commuting, no need to take anyone on a grand office tour, and no need for small talk before and after the meeting. Simply host the conference and begin at the appointed time. Hold impromptu meetings – Conference calling can be used on the spur of the moment, allowing you to hold meetings with key team members during times of crisis or inspiration. When you think of conference calls, what comes to mind? Complicated phone systems and speakerphones are no longer the norm. Today, conference calling service providers make conference calling a simple process that can be carried out on any phone including mobile phones and smartphones. Sign up for an international or domestic conference calling plan, ideally one with low per minute rates and no monthly fees, contracts, or penalties. Notify your participants when the call will take place. Share the conference call’s details including scheduled time, phone number, and “PIN” number with attendees. At the appointed time, everyone dials the phone number, enters the PIN number, and the conference begins. As the conference moderator, you may have several tools available to you in an online dashboard. For example, you should be able to mute and unmute callers, dial participants, and start MP3 recording. Once the conference is over, everyone hangs up. Depending on your conference calling plan, you will most likely be billed per minute, per participant. Conference calling is a low-cost alternative to holding live meetings. The more you use your conference calling plan, the more indispensable it will become. Any successful business will usually agree that communication is crucial to the attainment of business goals and objectives especially for business entities that are global. Advancement in technology has led to the development of conference call features that enables collaborative meetings over the phone without requiring physically being together in a boardroom. However, it is recommended to plan well for this event so as to ensure that everything takes place as planned. Below are some tips on how to plan a conference call like a professional. Just like face-to-face meetings, you have so set a date and time that you intend to hold the meeting. If some of the participants are located in different time zones, ensure that you facter in their local time so as to avoid any conveniences. Bottom line is, the set date and time should be convenient for all the participants, if possible. It is important to send an agenda and communicate it all the associates so as to keep them informed on the specific topics that will be discussed during the meeting. This will help them prepare and save time. In addition, it will provide them with all the relevant information such as dialing instructions as well as Pin Numbers so as to ensure that the meeting takes place smoothly. In addition, you should develop a criterion that will be used to ask and answer questions so as to foster attainment of the meeting objectives. The agenda should encompass all the topics to be discussed. Be sure to allocate enough time to each task so as to achieve the expected results. Remember to send the final agenda document to all the members to avoid any confusing during the meeting. You may want to contact the attendees just to be sure that they received the agenda. Let us proceed and look at some of the major benefits that can be derived from this form of communication. Conference calls are more economical on time and money since participants do not have to travel to the designated conference area. Instead, all they need to do is ensure that their telephone line or internet connection is working. This in turn helps businesses save thousands of dollars that could have would have been spent on housing and transport costs. Most conferences calling services can be accessed from virtually all online platforms. Hence, businesses are able to still hold meetings and carry on with their daily business activities conveniently. In addition, it is possible to re-organize or re-schedule the meetings in case of any unforeseen occurrence easily. It is also important to note that this mode of communication is not prone to various problems such as traffic jams, flight delays and a long list of other items associated with meetings in another city or country. Virtually all businesses have strict confidentiality rules. These calls are totally safe and secure since only the participants have access to the system. All attendees will have their caller ID’s visible to the host who uses the free online roster feature. Conference call is indeed the most convenient and modern way of holding corporate meetings especially the international conference call. We offer the best conference call services at very affordable rates. In order to meet diverse client needs, we have tailored out services into different packages hence no matter your specific needs we have a solution for you. In today’s world, it seems as though business is only getting bigger and a lot more complicated. As the world of communication technology continues to expand on a global basis, it can be easy to get lost in the mix, not knowing exactly what you need to help your business thrive in the long run. With the advancement of technology, terms like “foreign country” seem to not really apply anymore, as it is become a lot easier for people to communicate with each other on a worldwide basis. And because of this, it is very important for your business to make sure that it is on the top of its game, that way you can securely make your mark on the 21st century. If there is one thing that the Internet has done for us, it has brought us the ability to communicate our business needs no matter where a person may be. 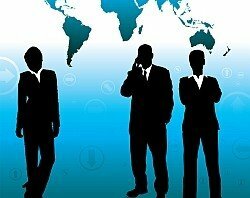 Whether we are making a sales pitch to a potential client in China, or if we are discussing investor relations with co-workers in India, or even if we’re having a general board meeting with executives in Canada, the Internet has made it extremely easy to make this type of communication possible. Because of the Internet, the world of the conference call has forever been changed. Ever since the Internet allowed for such communication, the idea of a conference call has grown dramatically, oftentimes being one of the official forms of communications between business executives. Whether it through a networking program or a video conference calling software, the popularity of organizing a meeting of this type has grown a lot over the past couple years and it will only continue to grow as technology continues to improve. In our world today, group communication through message boards and chat rooms are just not good enough. If you are communicating through a message board, things may seem a little bit too impersonal, things do not happen in real time, and you will most likely be reading through a lot more useless information than you need to read through. When it comes to chat rooms, things can get a little too jumbled and a little too chatty. Yes, you are communicating with each other in real time, so it is a lot better than a message board, but again, it does not feature any of the personalization and customization that a conference call provides. With conference calls, you will be able to understand and use voice inflections. Voice inflections are very important in the world of communication because it helps you understand what someone else is saying and how they are feeling about the given topic. Chat rooms and message boards or any other type of typing interface will not allow you the luxury of doing that. When you are talking to someone, you will want to have a full understanding of their various range of emotions, making it easy for you to reply in a manner that fits the situation. Message boards and chat rooms are typically informational, whereas a conference call capitalizes on how relational communication can be. In fact, the informational and relational difference between these forms of communication is the biggest difference you will ever see in the world of communication. If you are looking to make a sale, you will make a sale by forming a relationship with a customer, not by simply relaying information. In another example of the difference, you cannot simply encourage your employees by simply relaying information to them. You can encourage and motivate your employees by building relations with them, something that chat rooms and message boards cannot do. The sound quality is exceptionally high, meaning that you will hear everything that you need to hear with no confusion or misunderstandings. You will be able to record your meetings easily for future reference. Many conference call providers allow for you to playback all conversations in a matter of minutes. Having a great conference call service will save you a lot of money and possibly make you a lot money as well. You should never sacrifice good communication because of money. There are plenty of pricing options available for you to consider.